We provide our clients seamless access to the Asia market. We are a one-stop contact point for the region’s best human capital resources and offering insight to the market’s best standards and practices. To support our clients achieve excellence, through fresh, cross-industry perspectives and top quality personnel, offering a hassle free approach by going the extra mile, delivering more than what we promise. We operate at the highest levels of ethics, setting high standards in our quality of work, taking pride in our tasks while adhering to all regulatory guidelines. We deliver what is best for you, taking responsibility and ownership of your targets to deliver over and beyond your requirements. We develop deep and meaningful knowledge of your challenges, offer honest guidance and provide true support. We work with a goal of nurturing long-term relationships, allowing us to better understand your needs, be positively proactive, and stay practically focused on what really matters to you. We offer excellent post recruitment service support to you, going the extra mile with you is something we take pride in and puts us ahead in the industry. Mr Tony Du is the Founder and Managing Principal of Asia-Link. Mr Du founded Asia-Link group of companies (Singapore/China) in 1994, and, led the firm to become a leading provider of Human Resource solutions. With over 20 years of experience in Human Resource Management, Mr. Du focuses on recruitment, talent management, headhunting and advisory services to improve the Human Resource functions of multi-national companies, local small and medium enterprises. Within its core business, Mr. Du has also established a strong track record in helping local companies navigate the complex Chinese marketplace, for industries such as manufacturing, retail, FMCG, F&B, and private equity investments. Over the years, he consulted on operational efficiency, risk management for China markets; successfully bridged over SGD 300MM worth of direct investments between Singapore and China, and, facilitated local business ‘entry into China’s markets. A first generation immigrant from the city of Chengdu, China. Mr. Du previously was director in the Sichuan Provincial Trading Authority where he managed trading relations (East Asia), and, led regional trade initiatives before finally embarking on a new way of life for his family (to Singapore) in 1992. Beginning from the starting line once more in a foreign country. Mr Du started out as factory manager, where he is in charge of operations and managed some 100 staff. Subsequently, Mr. Du founded Asia-Link which has successfully bridged over 20,000 talented candidates to employers obtained permanent residency for over 6,000 families and citizenship for over 1000 families. Over the past 20 years, he is well-known as an active community front-runner in both China and Singapore. For his contributions to society, Mr. Tony Du has been awarded as a prominent Overseas Chinese representative (out of 200 other candidates worldwide). Peter provides us advise on corporate governance with his 30 years of experience in financial and corporate sector, including central banking, investment banking, private banking, stockbroking and venture capital. Having started his career in the Monetary Authority of Singapore as an investment officer in 1980, he moved on to the private sector and attained senior management positions in various global institutions including Deutsche Morgan Grenfell & Partners Securities, Citigroup Private Bank and OCBC Private Bank. He currently holds the position of Managing Director in a private equity investment firm in Singapore and manages the portfolio capital of over $100 million in Asia. Peter holds a BA (Honours) degree in Economics from University of Cambridge, England. He is also a Fellow of the Chartered Institute of Marketing UK and a CFA charter holder from the CFA Institute, USA. Dr Felix Ong oversees our business practices and advises Asia-Link on the Manufacturing sector. He is entrusted with developing strategic directions as well as identifying long-term corporate goals and expansion opportunities. Dr Ong was the Founder, Chairman and CEO of the Seksun Group, world’s leading hard disk drive component maker that was named by Forbes Global as one of the best 200 companies outside of the U.S. He built and grew the humble metal stamping shop of under 10 employees since inception in 1981, to a 300-man strong, SGX Main-Board listed enterprise with manufacturing footprints across, U.S, China, Malaysia, Indonesia and Thailand. Seksun was acquired by Citi Venture Capital International for S$295 million. 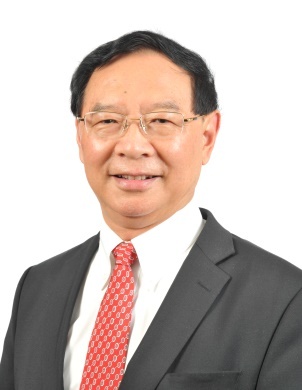 Formerly the Chairman of Singapore Precision Engineering and Tooling Association (SPETA), Dr Ong also served on other Main-Board listed firms such as Advance SCT Limited, a global recycling and waste management company, and performance fabric manufacturer China Taisan Technology Group Holdings Limited as Chief Advisor. He has also been actively involved in funding and nurturing technology startups through Seksun Investments. Companies include Harvest Multimedia that develops, manufactures and distributes of its own range of Digital Multimedia Recorders (DMRs) under the brand JV Labs, Enzymatics Ltd, an Australian life sciences companies, Alantac Technology (IPO in 2006) and Shareinvestor.com (acquired by Singapore Press Holdings). Dr Felix is also well known for his deep interest and support of the local entertainment and participates in many community fund-raising activities. Dr Felix was conferred the Doctorate of Philosophy in Business Administration from the American University in the State of Hawaii, USA, in 2000. Professor William advises us on PRC HR market landscape and Greater China. He has a background in management and advisory within the private sector, research institutions and government authorities. Professor William has successfully carved a niche in projection evaluation, feasibility studies and management consulting. Today, his publications are frequently featured on Lianhe Zaobao regarding Investment Analysis, China Market Outlook, WTO regulations and Implications to China, and is a regular speaker at regional seminars and forums having published three books in Singapore since 2002. Prof William concurrently serves as professor for SGP International Management Academy and universities across Singapore, USA, Australia and Malaysia, lecturing MBA, EMBA and EDP programs in NUS, NTU, ANU, JCU, SGP, IMA and SCCCI. He received his accredited MBA from the National University of Singapore (NUS). In 2004, Benny joined Asia-Link as a Business Development Executive. In his 12 year career with Asia-Link, Benny has been part of Asia-Link’s growth in Singapore. Today, he oversees Asia-Link’s entire daily operations and is responsible for the development of the company in his current capacity. Obtaining a wealth of experience in servicing clients from various sectors including Manufacturing, F&B, Retail, Hospitality, Medical, Land Transportation and others, Benny is able to capitalize on his strong track record in HR processes and planning, consistently leading and executing large scale recruitment campaigns across Singapore, Malaysia and China. Understanding the importance of keeping abreast with the ever changing HR landscape and the need for newer initiatives, Benny continues to partner closely with Asia-Link’s network of valued clients, offering Asia-Link’s full suite of innovative comprehensive HR services and solutions, in-line with the market’s best standards and practices.